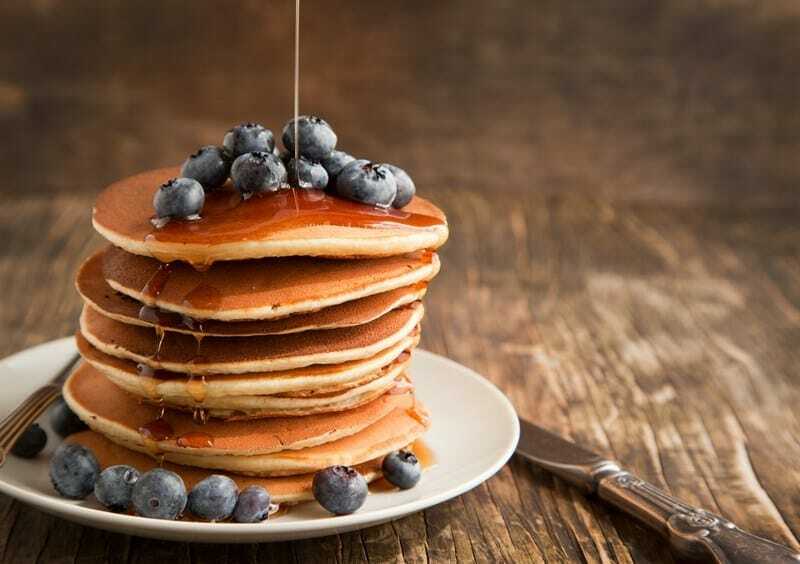 There is nothing like a lazy morning in bed with the most perfect fluffy pancakes to wake up to. We have the most delicious recipe for you. Top with all your favorites. Sift the flour and sugar into a bowl. Make a well in the centre of the dry ingredients. Add the lemon zest, milk, egg and melted butter and whisk until smooth with no lumps or air bubbles. Heat a large non stick frying pan over medium low heat and grease lightly with butter or oil. For each pancake, place 2 tbsp of batter into the pan. Cook for 2 minutes or until bubbles form on the surface. Turn and cook for a further 1 to 2 minutes or until the pancakes are cooked through. Decorate with berries, bananas and maple syrup.